The busy festive period has hit us. Shopping has started, party invites are landing and work has ramped up. This is the busiest time of year on the calendar and what can seem like the most stressful for our skin. 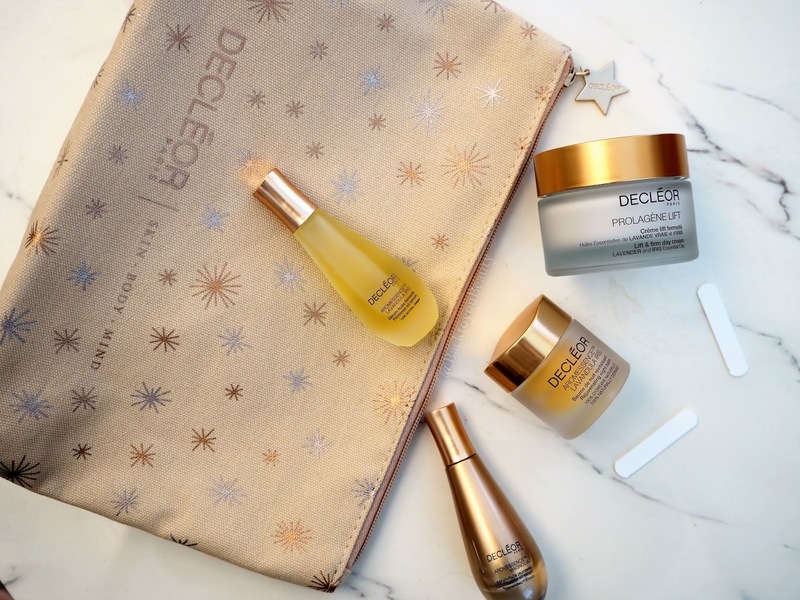 Decleor have created an incredibly luxurious Sleep Tight, Wake Bright collection that will have our skin glowing and rested all through out Christmas and beyond. 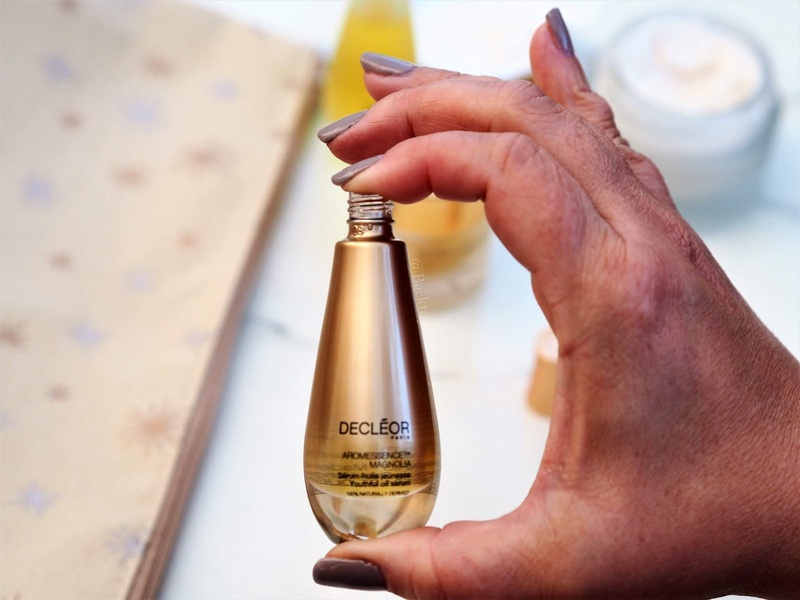 One of Decleor’s most powerful serums is this Aromessence Magnolia. This has the ability to do things to your skin, in such a short space of time, that you just won’t believe it until you try it. I adore this on my dehydrated skin because after just a few uses it brings back life, elasticity and a glow to my skin. Formulated with essential oils of Magnolia and Ginger and Botanical oils of Hazelnut and Jojoba it feels incredibly nourishing on the skin, yet disappears without leaving any oily residue. The smell of these essential oils is just divine. 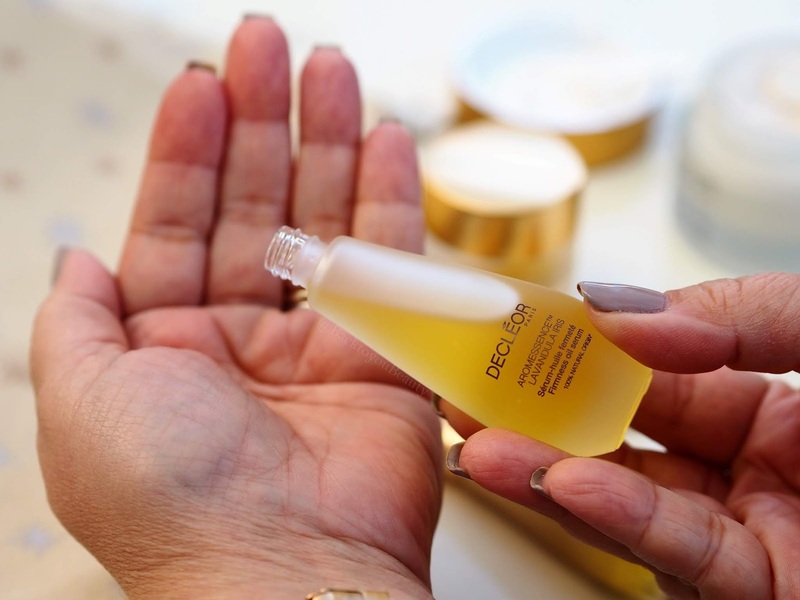 Decleor always manage to whisk me away on a spa journey each and every time I use them. This scent really leaves me feeling uplifted. Apply three drops to your face in the morning, before your day cream and massage in. The skin will feel and look awake and glowing. Love this. moisturiser. My mums favourie Aromessence! This really is a “Hold the phone” product. 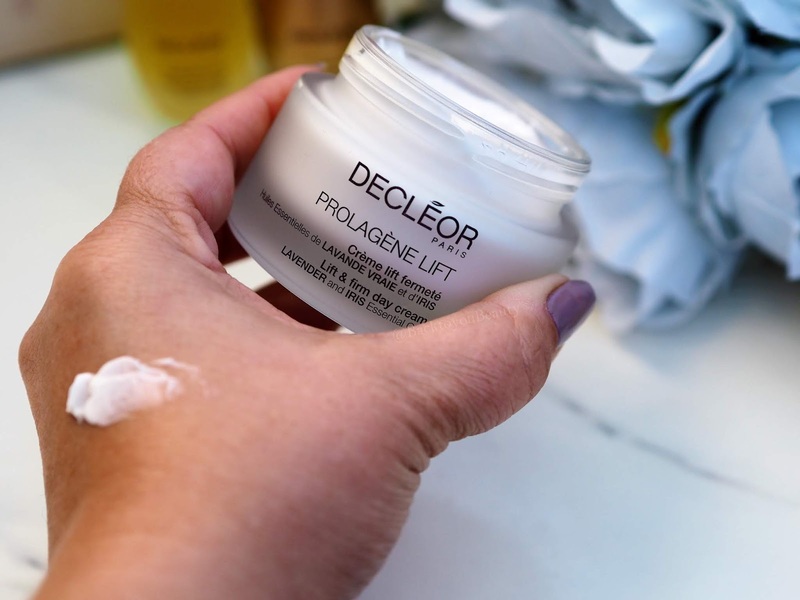 This beautifully lightweight day cream uses powerful Peptides and 3D technology to create a wonderfully lifting and illuminating day cream that is an absolute joy to use. I have been all over this since I received it. As my first time using this product, I am completely sold on the texture – which feels almost whipped and super light, the natural fragrance – a wonderfully light, uplifting, botanical scent, and the luminosity it leaves on the skin. This product actually makes me feel so relaxed when I use it, thanks to the inclusion of real Lavender oil, it hydrates, lifts and contours the skin and I am super excited to see the results after prolonged use. If your skin is slackening, as mine is, this is deffo one to try. contain so many powerful, active ingredients to really treat your skin issues. 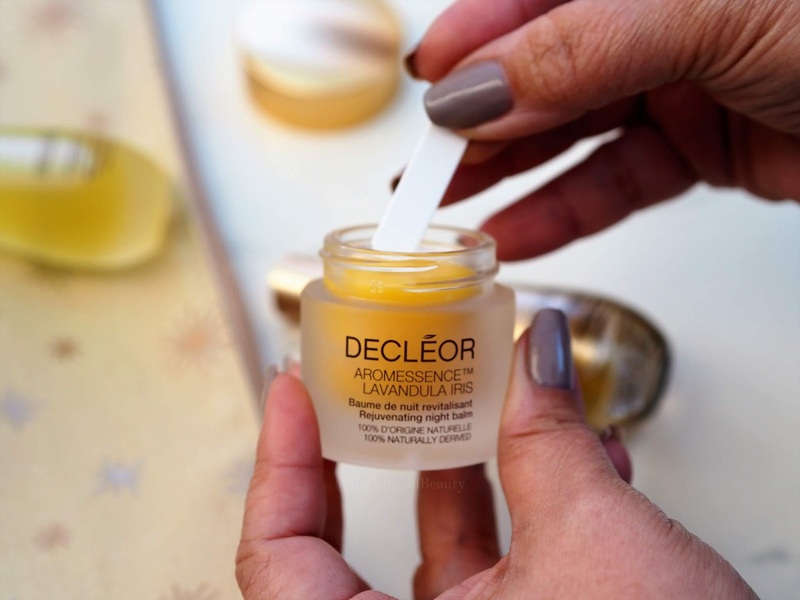 Aromessence Lavandula Iris Balm comes with a spatula as a small amount really goes a long way. 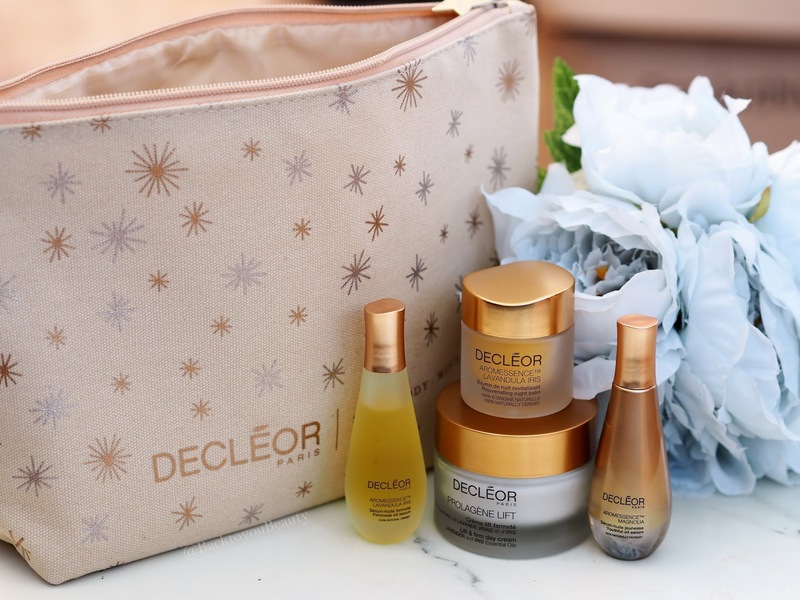 This collection also comes with a gorgeous Limited Edition Cosmetics bag with the Decleor logo on the front and embossed onto a pretty star on the zip. My Thoughts on this Collection – You just cannot go wrong with such a luxurious brand. Each product in this collection comes individually gift boxed so if you wanted to keep something for yourself and give the rest as a gift you absolutely could. Perfect for all ages and skin types seeing those signs of ageing, sagging and just looking lack lustre. A wonderful collection of skincare that is absolutely perfect for this time of year and beyond, when the weather turns and we all get that little bit busier and have less time to focus on ourselves. My mum looks forward to me buying her the Decleor TSV every year and this one does not disappoint. If anything, it is much more glamourous looking and has great products. 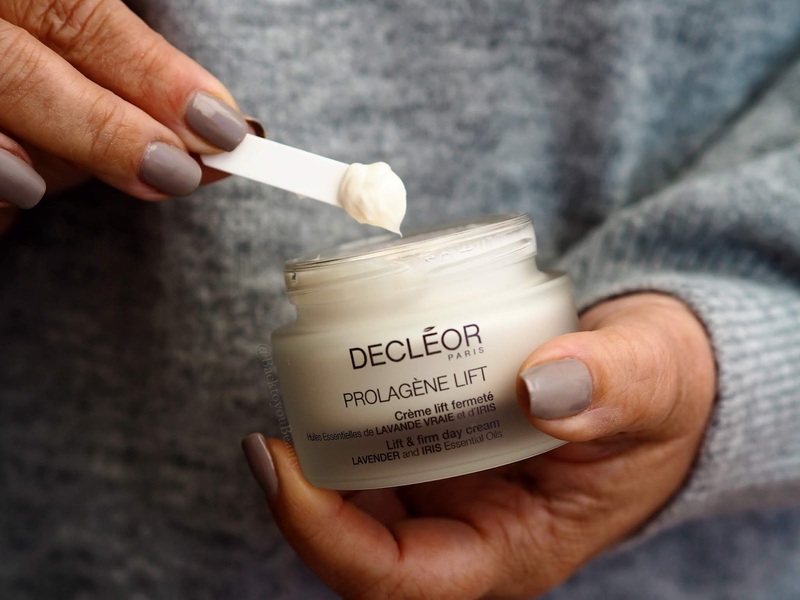 I am completely obsessed with the Progalene Lift & Firm Day cream and will be incorporating this into my skincare regime. I absolutely adore this collection of essential oil skincare and am sure you will too. This collection is available for one day only whilst stocks last on QVCUK 18th November 2018 HERE. The products included have a value of £257 but you can purchase this Sleep Tight Wake Bright Collection for just £69.96 and on four easy payments. That’s bloody amazing if you ask me!! "The Tarte Cosmetics Holiday Collections you will want to keep for yourself!" "IT Cosmetics QVCUK TSV – Four steps to flawless"
I love this brand and will definitely be buying. 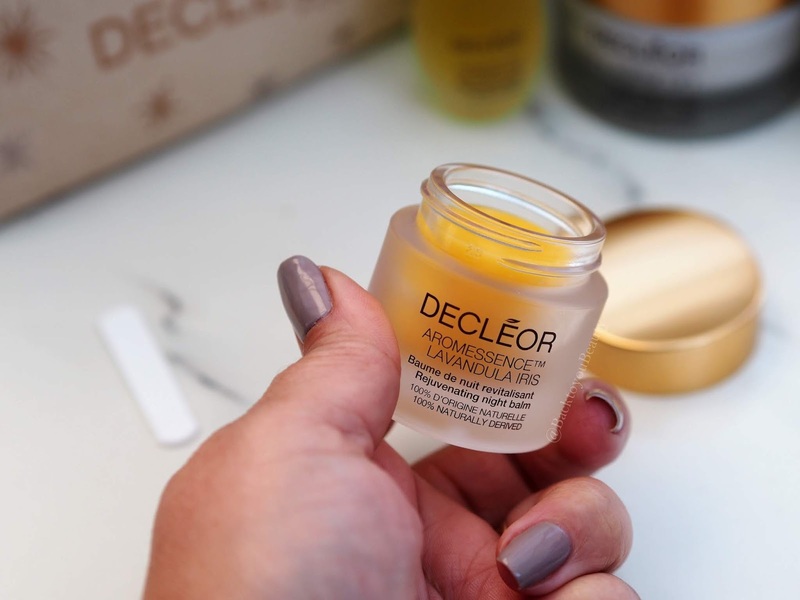 Decleor as a company go above and beyond as I contacted them last week for advice on getting my skin back to normal after having an operation for pancreatic cancer, I am following the advice and my skin is getting back on track. Wish I could say the say for my body haha. I just can't believe the amazing value if this collection. It's just fabulous.